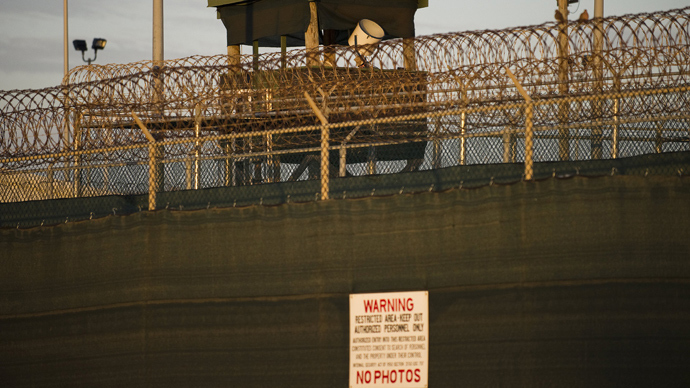 Days after violent clashes between guards and prisoners, the US military says a hunger strike at Guantanamo Bay is on the rise as the number of those fasting has increased from 45 to 52. Some 15 prisoners are being force-fed. Gitmo spokesman Navy Capt. Robert Durand said the number of prisoners classified as hunger strikers has increased in just one day. 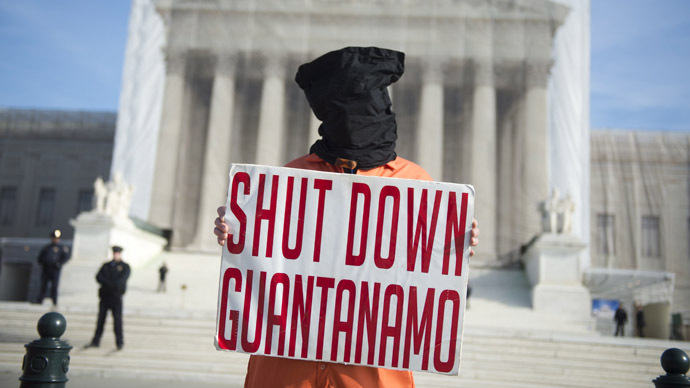 At the same time, lawyers for Guantanamo inmates say the strike is more widespread than the military acknowledges and the majority of all 166 prisoners are fasting. 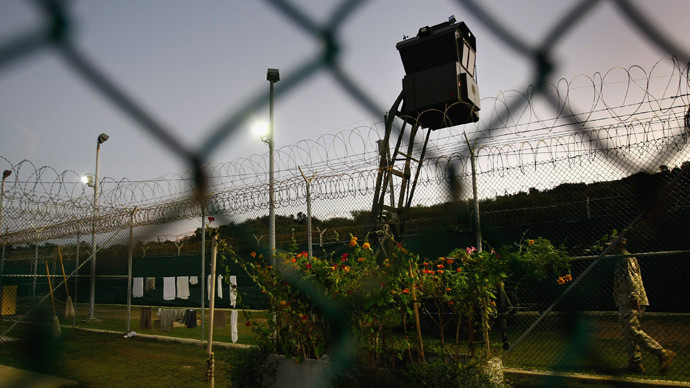 Meanwhile, senior military officials at the Guantanamo Bay detention center defended a raid on Saturday that resulted in a violent clash with detainees. Two US soldiers received head wounds and five prisoners suffered assorted injuries. Lawyers for the inmates claim they are barred from speaking with their clients. The atmosphere is tense as a weeks-long hunger strike by detainees protesting their indefinite detention continues. 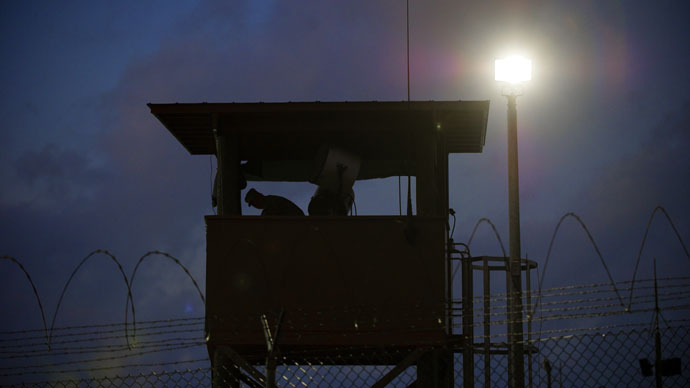 Soldiers equipped with riot gear swept into a recreation area and were met with resistance from several dozen prisoners, the commander of the detention center told journalists visiting Guantanamo Bay detention facility (Gitmo). "The appropriate amount of force was used for the situation," Navy Rear Adm. John W. Smith, commander of the detention center, told the small group of reporters. Guards carried out a raid on Camp 6 because the prisoners had repeatedly blocked 147 of the 160 security cameras, making it impossible to monitor the detainees during the hunger strike, the AP article said. Smith said the guards were concerned a prisoner might try to commit suicide. Officials said there were two attempted suicides since the first broke out around February 6. Shortly before the raid, the International Committee of the Red Cross (ICRC) had conducted a visit to Gitmo, after which it confirmed that force-feeding is occurring at the facility, a practice that the ICRC and groups like Physicians for Human Rights condemn. The Pentagon has countered the argument, saying it wouldn't be humane to let an inmate die from starvation. Detainees who are force-fed are strapped down to a gurney while a tube is forced up their nose and into the esophagus. 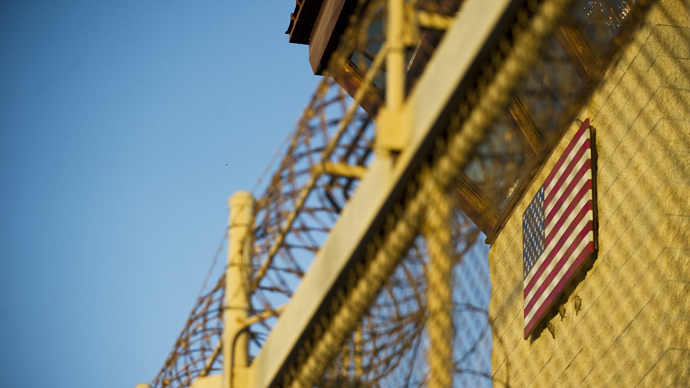 A New York Times op-ed written by a Guantanamo prisoner on Monday described the process as extremely painful. "There was agony in my chest, throat and stomach," Samir Naji al Hasan Moqbel wrote. "I had never experienced such pain before. I would not wish this cruel punishment upon anyone." News of the prison clash surfaced as the US military is conducting closed door tribunals, which have been marred from the start by controversy. Lawyers for the detainees have criticized the use of listening devices planted in the cells designed to eavesdrop on private conversations between the prisoners and their military legal counsel. The court itself has complained of testimony from the defendants being cut off in mid-sentence by unknown sources. The list of obstructions to achieving some semblance of justice, never an easy thing in a military tribunal to begin with, threatens to turn the tribunals into a kangaroo court. "Defense emails have ended up being provided to the prosecution, material has disappeared off the defense server, and sometimes reappeared, in different formats, or with different names," Rick Kammen, a lawyer for Abd Al Rahim Al Nashiri, who is accused of plotting the 2000 attack on the USS Cole, said, as quoted by the public interest website, ProPublica. The legal defenders said they were unsure whether the emails were intentionally grabbed or collected erroneously due to “technical or procedural errors.” Meanwhile, a Guantanamo Bay lawyer who represents 11 detainees was denied an emergency call to communicate with one of his clients on Tuesday, an email obtained by Rolling Stone reveals. Defense attorney Carlos Warner requested an emergency call with his client, Fayiz Muhammad Ahmed al Kandari, on Monday morning and received notice that his request had been denied Tuesday afternoon. The Pentagon's refusal to grant Warner's call comes just days after US forces raided the communal prison unit at Gitmo. "The military is closing ranks and restricting access to clients," Warner said in an email to reporters. "They don't want the public to know what happened during its raid." Warner was told he could re-apply and give the normal 15 days notice – a procedure he said he understood was "routinely not followed," though this was his first request to place an emergency call. The Pentagon declined to comment on the allegations. Following the clash, military authorities decided to terminate communal housing, which permitted detainees to eat and associate together, and place the prisoners into solitary cells. "Stop torturing us. Stop desecrating our religion." Commander Smith said the prisoners may later be permitted to return to the communal detention areas if they complied with prison rules. Meanwhile, the hunger strike continues, with 45 prisoners refusing meals and 13 being force fed, officials said.